Mahindra Two Wheelers Ltd. (MTWL), today announced the introduction of the Mahindra MOJO Tourer Edition. This fully-loaded motorcycle offers a wide range of accessories designed to offer best in class functionality benefits and enhanced tourer styling. The MOJO Tourer Edition is priced at Rs.1,88,850 (Ex-Showroom Delhi). The emerging trend among the youth is to accessorize their bikes, keeping this in mind, we are excited to introduce the MOJO Tourer Edition. It is aimed at those who have a passion for touring and for whom exploring new terrain is a way of life. 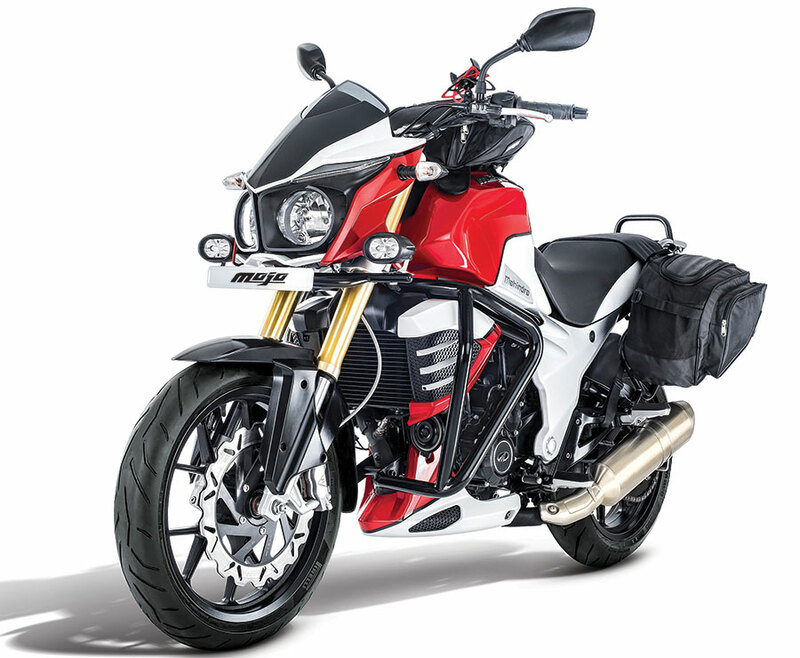 The MOJO Tourer Edition is the perfect companion for every biker who is passionate about touring.